Welcome to Best of the Forum (BotF), a series in which we highlight fascinating bits from the ongoing conversations happening among our awesome community of cooks. Let’s get to it. Is it just us, or does the photo above both make you want to up your cooking game and remind you of the opening theme from Dexter? This is the work of community member Lennard Yeong, whose culinary skills and plating prowess just keep getting more impressive by the day. 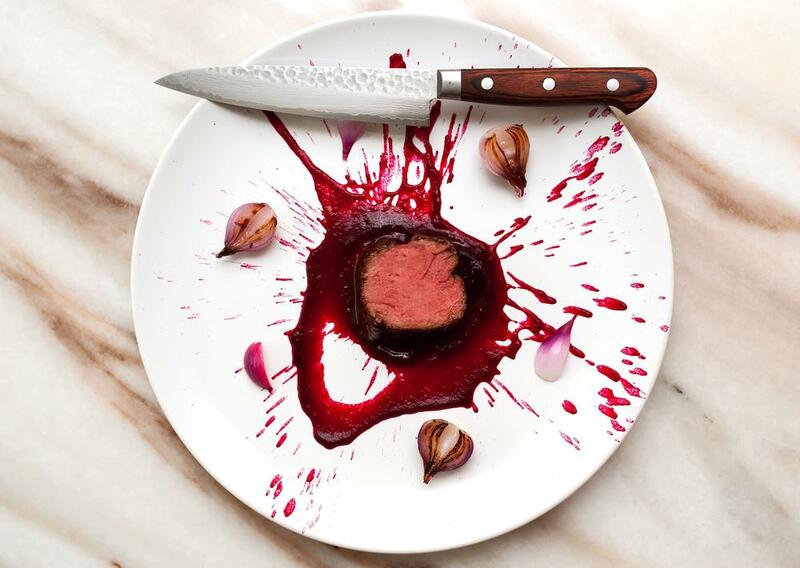 Want to design and plate your own killer dishes? Check out this comprehensive guide from our on-staff food artist Nicholas Gavin. Forum member Rob has been killing it in the plating department as well. Forget Triscuits and cheddar cheese. When this guy gets a mid-morning hankering for a snack, he combines smoked salmon, capers, cream cheese, shallots, toast and pink Himalayan salt for a dish that would fit right in at a fancy restaurant. We like your style, Rob. There’s banana bread, and then there’s the fruit-forward wonder developed by Nick Gavin. (He’s coming up a lot today, isn’t he?) It’s one of our all-time favorites, so it makes us very happy to see forum member Ethan give it the royal treatment—topping it with toasted brown butter oats, whipped mascarpone, blueberries, AND EVEN MORE BANANAS. Ready to make your own version of our Banana Bread? Be sure to stop by the forum and post a pic. We can’t wait to see what you do with the stuff. Join ChefSteps today for amazing recipes, tons of techniques, and access to our lively forum of enthusiastic cooks.